As we begin the third day of the AORN Surgical Global Surgical Conference and Expo in Boston, we are excited to announce the Association of periOperative Registered Nurses (AORN) has selected Syus as its exclusive partner. As most readers will know, AORN is the leading membership organization for perioperative nurses and managers and is the standard-setting body for perioperative practice. Our partnership with AORN will benefit AORN's members and Syus' customers by bringing together the definitive practice and documentation standards from AORN with the leading anayltics tools from Syus. 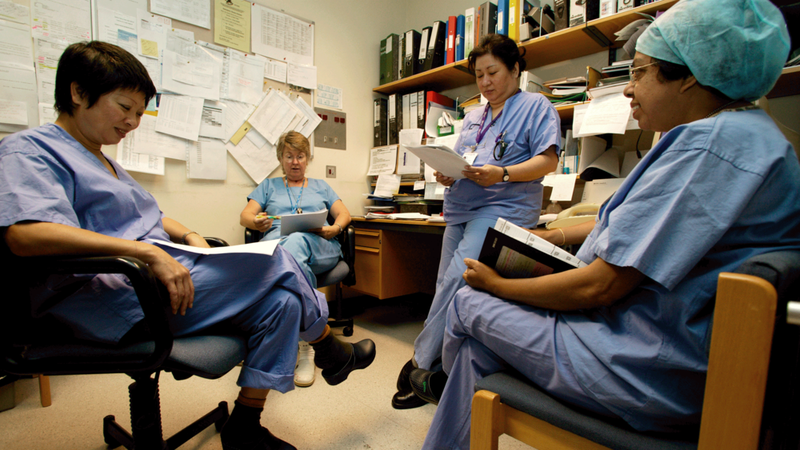 One responsibility that can be neglected with everything else competing for your time, attention and energy is identifying and training the next generation of perioperative leaders. The OR workforce is aging and we collectively need to encourage younger, less experienced candidates waiting for their chance to lead. You need to do what you can to help them transition. You must share your knowledge and skills, if not to help those who come after you, then for the greater good of the patients and medical staff. It has been common for patients who live alone to be discharged by a physician to a rehabilitation center after a total joint replacement surgery. However, patients who live alone can recover safely and effectively at home following total hip or total knee replacement, according to a study presented at the 2017 Annual Meeting of American Academy of Orthopaedic Surgeons. Everybody appreciates a good laugh, and nowhere is this truer than in a hospital. The dynamics of a hospital environment are very fluid. People's nerves get frazzled by unreasonable requests, deadlines, scheduling conflicts, and other issues. This stress can build walls between supervisors and their staff. Studies show humor is a great way for managers to connect with their employees and keep them motivated and engaged. How Long is Too Long for Laparoscopic Procedure? When should a surgeon shift from laparoscopic techniques to open surgery? Skeptical Scalpel, a blog from an anonymous former chairman of surgery and residency program director, says don’t be afraid to shift mid-surgery if it’s in the best interest of the patient. As the dust begins to settle on President Obama’s 2015 State of the Union Address, more details are beginning to emerge about the Precision Medicine Initiative. Precision medicine is an innovative, individualized, approach to provide clinicians with tools to better understand the complex mechanisms underlying a particular patient’s health.